The leaves are falling and there’s a crispness to the morning air. I suppose that means it’s time for a Crawford lab summer update! After looking back at my summer calendar, I am left wondering what I did. To be sure, it was filled with regular stuff. You know, grants, papers, and the occasional study section. The usual. Oh, there was the eclipse. 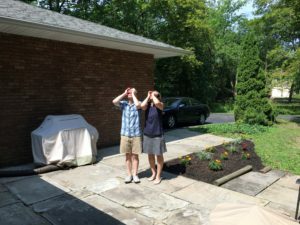 We weren’t in the “path of totality,” but we had about 80% coverage. That was some serious scientific fun (Figure 1). CLE 2024! Oh, and Will Bush got married (Figure 2). Figure 2. 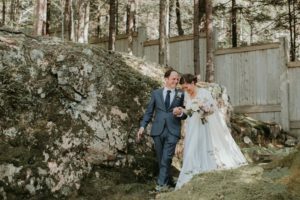 Will Bush and Candice Hurst, somewhere in Maine (2017). Unlike me, former Crawford lab members were moving and shaking. In my last post, I mentioned that Dr. Brittany Hollister is now a health disparities fellow at the National Human Genome Research Institute and that Dr. Logan Dumitrescu is a staff scientist at Vanderbilt’s Memory & Alzheimers Center. Where are the others and what are they up to? Well, let me tell you. Figure 3. A most awesome convocation speaker (Janina Jeff; 2017). Dr. Janina Jeff is now in her second year as Illumina’s Global Bioinformatics Specialist. 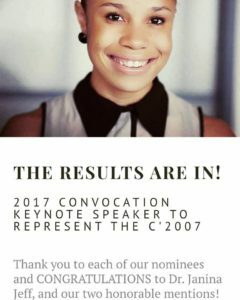 Janina managed to squeeze in a few things this summer between her international trips, including giving the 2017 Spelman College keynote address as convocation speaker (Figure 3). The honor to speak was bestowed by fellow Spelman alumni who voted on Class of 2007 candidates based on their respective pitches and accomplishments. This Spelman Class of 2007 alumna was also recently highlighted on the Spelman College website complete with links to her recent She Geeks Out talk. It goes without saying (but I am saying it anyway): Janina has come a long way since her 2009 talk at Spelman College when she was a graduate student. Several former Crawford lab members were on the career move this summer. Dr. Matt Oetjens completed his post-doctoral work at the University of Michigan, and he is now with Geisinger Health System as part of the Autism & Development Medicine Institute. Hopefully he and his wife Katie are settled in and enjoying the last bits of summer in central Pennsylvania. Speaking of Geisinger, Drs. Nicole Restrepo and Mariusz Butkiewcz are also staff scientists at Geisinger. Nicole and Mariusz are actually in the new Rockville, MD office with Dr. Sarah Pendergrass as part of the Department of Biomedical and Translational Informatics. We hosted a good-bye gathering in early June and wished them well. With Sarah at Geisinger and Brittany close by at NHGRI, they’re in good company! Former post-doctoral fellow Dr. Sabrina Mitchell transitioned this year from post-doctoral fellow at Vanderbilt University Medical Center to staff scientist in the Division of Genetic Medicine with Dr. Milam Brantley’s group. And, former graduate student Dr. Jennifer Malinowski continues to head her medical and scientific writing company Write InSciTe. Not all updates are from trainees past. This summer, I was fortunate to have an undergraduate performing research as part of the CWRU Heart, Lung, Blood (HLB) Summer Program headed by Joseph Williams. 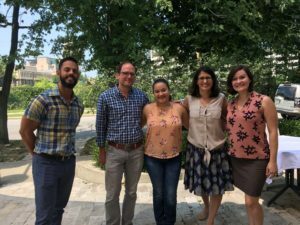 The trainee assigned to the Crawford lab was Kimberley Heath Borrero from the University of Puerto Rico, Ponce. Kim’s assignment to my lab was monumentous for several reasons. First, I have rarely hosted undergraduate students. The last was Roberto Reyes as part of the Vanderbilt University Summer Science Academy Minority Summer Research Program back in 2011. Roberto was already computationally adept and picked up a genome-wide association study with ease. Roberto went on to earn a FASEB MARC Program travel award for the 2011 Annual Biomedical Research Conference for Minority Students (ABRCMS) where he gave an oral presentation based on this work. Any undergraduate after that has a tough act to follow. Second, although Joseph Williams had met me several times, he had no idea what kind of lab I had or what kind of mentor I would be. In fact, my general impression is that our Department of Population and Quantitative Health Sciences (formerly Epidemiology and Biostatistics) had not yet hosted a CWRU HLB Summer Program student. Joseph took a gamble on us, and we aimed to make the summer a scientific success! Finally, Kim and I did not meet prior to her summer experience, so the possibilities of incompatible research interests and personality mismatches were real. Unlike Roberto, Kim was not familiar with Unix or R, and she had little genetics from her undergraduate classes. I was afraid that she would find the learning curve too steep for a short summer experience as other students have in the past. Boy, was I wrong! Figure 4. Farren helped, too! Farren, Will, Kim, Dana, and Jessica (Summer 2017). Figure 5. 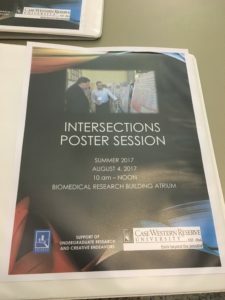 2017 SOURCE-sponsored poster session at CWRU. With the help of Drs. Will Bush, Jessica Cooke Bailey, and Farren Briggs (Figure 4), along with Fred Schumacher’s graduate student Zuxi (Terry) Cui, we got Kim up and running for the summer. Kim, in fact, worked on the Illumina MegaEX data we recently generated on the MetroHealth/Institute for Computational Biology Pilot study (MIPs) DNA samples from patients with chronic kidney disease. Kim presented her abstract and poster on her work in genomic quality control and global genetic ancestry estimation at the end of the summer in a poster session sponsored by CWRU’s Support of Undergraduate Research & Creative Endeavors (SOURCE) program (Figure 5). The SOURCE poster session featured several summer undergraduate programs in STEM (Figure 6). Figure 6. 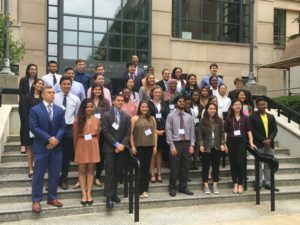 CWRU Summer Undergraduate Research Programs (2017). Kim left CWRU for Puerto Rico after the first week of August, hoping to finish her sophomore year and begin her junior year of studies. Kim had planned to be a rising junior at the beginning the 2017 academic year, but a strike at the University of Puerto Rico in response to the government’s proposal to drastically reduce education and research funding left her with many incompletes for the last semester. The financial recession and economic crisis is now further compounded by Hurricane Maria. Hurricane Maria, a Category 4 storm, landed in Puerto Rico on September 20th. My Mom as a young teenager lived through a Category 3 storm that landed in Tampico, Tamaulipas Mexico in 1955 (Hurricane Hilda), and that looked pretty bad (Figures 7 and 8). Mom recalls massive flooding and dead animals floating down the street. She and her family were plucked of their apartment rooftop, like many other families in the city. Approximately 300 people died as a result of that storm. Figure 8. 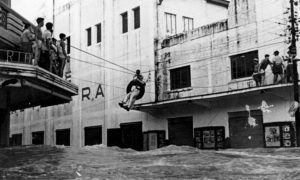 Dramatic rooftop rescues after Hurricane Hilda in Tampico, Mexico (1955). Figure 7. 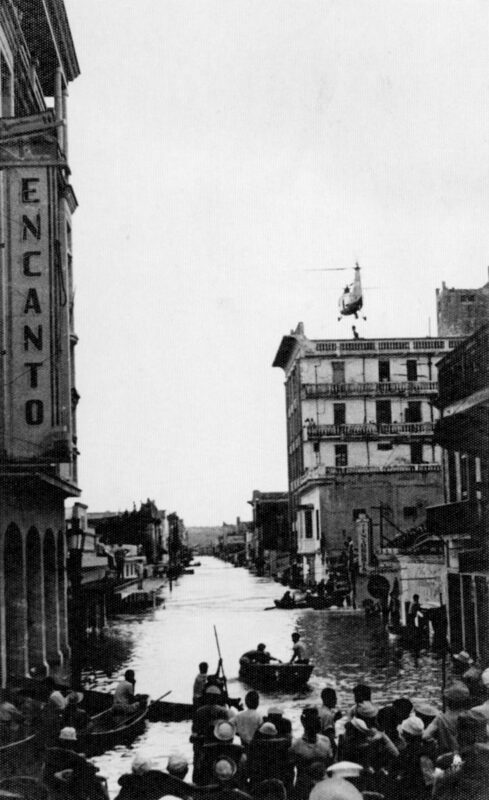 Flooding in downtown Tampico, Mexico after Hurricane Hilda (1955). The devastation in Puerto Rico, a US territory with >3.4 million Americans, was reportedly much worse than reported for Hurricane Hilda (or other recent storms, for that matter): no cell service or electricity on the island and little running water. Relief efforts are well underway, and I am happy to say that we did finally hear from Kim, almost two weeks since the storm. Kim is safe and does have access to water. She also proudly reported that her abstract has been accepted at ABRCMS and that she received a travel award to attend the meeting and present her work. No word yet on the status of her home or university, but at least her optimism seems to be intact. See you in Phoenix, Kim! Posted in Crawford Crew and tagged ABRCMS, HLB Summer Program.